DBay Dental services the greater Moreton Bay Region to provide complete dental care in a friendly, relaxed, and welcoming environment. In 2015 they contacted Partner Digital because their current website was looking dated, and wasn’t mobile responsive. 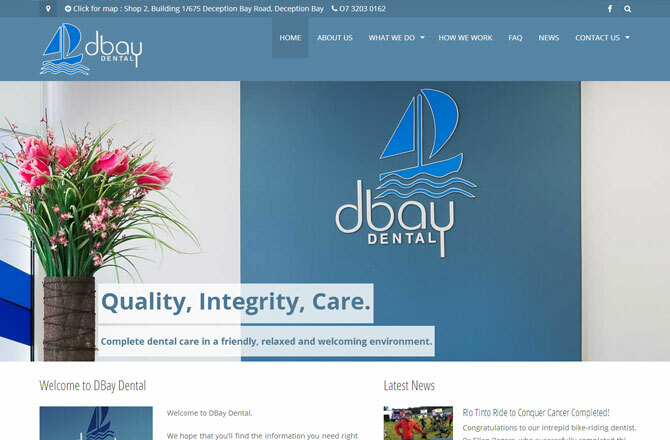 Partner Digital was able to design and build DBay Dental a modern mobile responsive website.